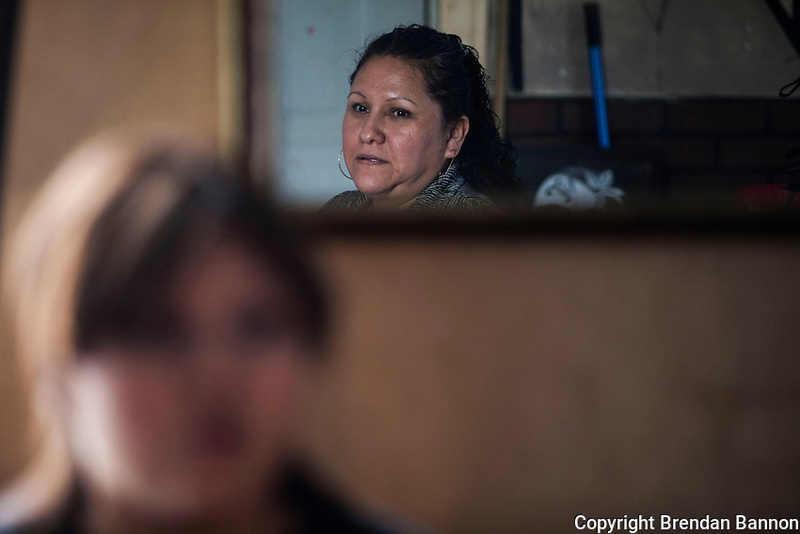 Esperanza Moctezuma at home in Painesville, Ohio with her daughter Maricza. Photo by Brendan Bannon. Painesville, Ohio march 25, 2014.